Antosh came into contact with VVF when he was only 8 years old . He has finished his schooling and has chosen to earn a graduation degree through correspondence mode of learning. . Today, he is Lab Administator at VVF.  Anita was a student of Saakshar and was mainstreamed in Government School . She is pursuing 12th class and is enrolled with Etasha Employability program. She is also serving as Front Desk Executive at VVF. Kajal was enrolled in Saakshar in 2002. She has passed 12th class ,this year with 77% of marks. She is a gifted dancer and has secured prizes in folk dances. She is working as Sales girl in a city store..
Dinesh-Multitasking Executive at Ganga Ram Hospital. Dinesh was enrolled in Tarang wing. 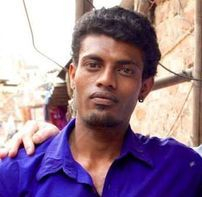 He has learnt basic computer program and ESPD at VVF. Now, he is working as Multi-Tasking Executive at VVF.